I found a resource that anyone who want to be a writer and had written a book needs to check out. I am candidly tooting my own horn, thisis my site so why not? Check them out. They are free and always looking for new authors. I was fortunate enough to get a good review, which encourages me to keep going. Raised in Vermont I have always been fascinated with covered bridges, railroad bridges and river bridges. So the title ‘The Troll Bridge’ by Larry Auerbach caught my attention right away. The prologue hooked me and it was very hard to put this book down for any reason. Larry Auerbach is a master story teller and if you ever loved exploration as a kid and dreamed of finding something of value while exploring the farm yards, local woods, railroad tracks, old buildings, river banks etc. around your town, this book will draw you into this teen adventure that involves a hidden cave in West Texas. Well-developed characters like Duane McCathern, Tony Picano find they need some help when the old town’s folklore about a hidden cave may have more merit than just to spook kids. Here is a quote from the book to peak your interest. Eleven fast paced chapters will take you on an adventure of paranormal (supernatural) intrigue written for Tweens, Teens and Young Adults along with you if you are young at heart, spirit and mind. I invite you cross over ‘The Troll Bridge’, feels the spray from the raging water below, walk the river banks if you dare as “Trolls” are known to live under bridges where people and things go missing. Join these teens as they use every creative bone in their bodies and life skills to explore a hidden cave in the hopes they will all make it out alive with treasure worth dying for. I (Theodocia McLean) endorse ‘The Troll Bridge’ by Larry Auerbach as an adventure worth taking. Other books by Larry Auerbach include Common Threads, The Spirit Of Redd Mountain, A Matter Of Justice, and A Matter Of Honor. I read and reviewed this book from a Kindle format. This review was completed on 02/20/2017. Western History Today: President John Tyler dies. 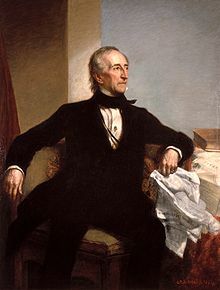 On this day in 1862, former U.S. President and Confederate congressman-elect John Tyler dies at age 71 in Richmond, Virginia. Tyler, who was born in Virginia in 1790, served as a U.S. congressman and as governor of his home state before winning election to the U.S. Senate. state during the 1830s, when many of the sectional issues were emerging in national politics. A Whig, Tyler became the 10th U.S. vice president in March 1841. Within a month of his inauguration, President William Henry Harrison died in office and Tyler vaulted into the executive chair. The major achievement of his administration was the addition of Texas to the Union in 1845. After his presidency ended in 1845, Tyler retired to his plantation, Sherwood Forest, in Virginia. His fellow Virginians called on the 70-year-old to head a Peace Convention in the winter of 1860-1861. This body tried to negotiate a com-promise with the Republicans in the North to prevent a civil war. The attempt failed, as the Republicans were not willing to entertain any proposals that would protect slavery in the Western territories. Tyler was a delegate to the subsequent Secession Convention and later became a member of the Provisional Congress of the Confederate States of America. He felt that victory was impossible for the Confederates but nonetheless suggested that Confederate cavalry be dispatched to capture Washington, D.C., before the Union military was in place. Tyler was elected to the permanent Congress of the Confederate States of America but died before he could take his seat. He was survived by his second wife, Julia, and 11 of his 15 children. Tyler is buried in Hollywood Cemetery in Richmond. I am taking the time to let anyone who might drop in to read these lines that I am expanding my presence on social media. Slowly, to be sure, this is foreign territory to me, but I hope to pick up steam as I go along. 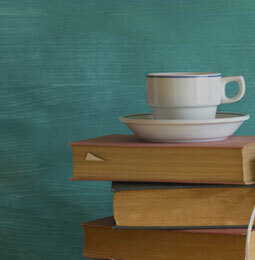 The first thing I am doing is joining Cold Coffee Cafe, which is an internet meeting house for new and self-published authors who are trying to make a name and place for themselves in the literary world. I am new to this group, so I don’t know a lot of the details yet, I am still finding my way through the isles, as it were. I will be talking about it more as I get further into it. I will be placing all five of my books on their ‘shelves’, and I will be resuming my blog for aspiring writers, talking about the dark and depressing side of being an author — always write what you know about the most — and I will be trying to create one for the cafe, on heaven knows what at this point, but such a presence is part of the membership so I will do my best to make it interesting to anyone who reads it. SO-o-o-o, if any-one has any ideas or suggestions, I would truly love to hear them. I am thinking, at this point, that they will be posted on Sunday, as that is when I have the most time to write, although I will probably be putting them together all week. So, between seeing clients Monday thru Friday, I am now making the decision to take on more writing work. I am working on my next story in the middle of this new load, but no reward comes without work. If I want recognition, I have to do what it takes to earn it. Be sure to check out the cafe if you like to tell stories, or if you like to read something beside the same old names you already know. Hey, I have my list of favorite authors, Clive Cussler, Robin Cook, Robert Knott (filling in for the late Robert Parker on his Appaloosa series with Marshal Everett Cole), and anything about our American West and the Civil War (both sides), but I am always looking for someone new and exciting, or with a new angle on the old stuff. For example, I read a couple of stories by a write names Kevin Hogge, I thought they were goo and exciting reading. Look for his name. So, I have a lot to say and I better get to getting it said. See you later. I have five out of fourteen stories completed for Mr. Wysquers. I am aiming for this to be done for Christmas, as I want this to be a some-what inspirational work. It is based on my practice and what I teach clients about re-inventing themselves in spite of what may look like overwhelming odds. It can be done, if the individual is willing to do the work necessary. Over the years, I have seen many do it them-selves and begin to enjoy their lives once more, or for the first time. These stories represent some of the people I have known over the years, and the steps they took to achieve those goals. I will update this as I complete them, and I will say there is an “easter egg” in the stories. We will see who is able to spot it when the book is done.